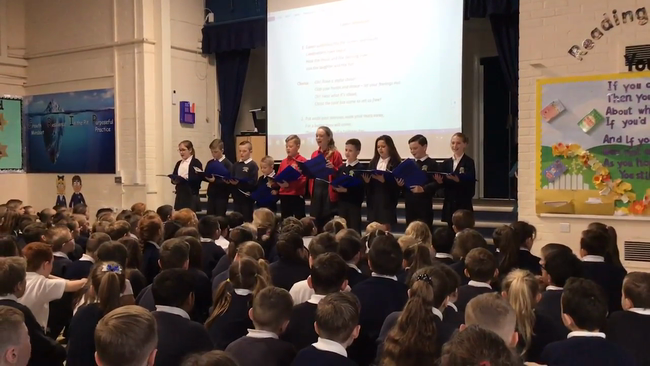 Thank you to School Council for a lovely Easter service. 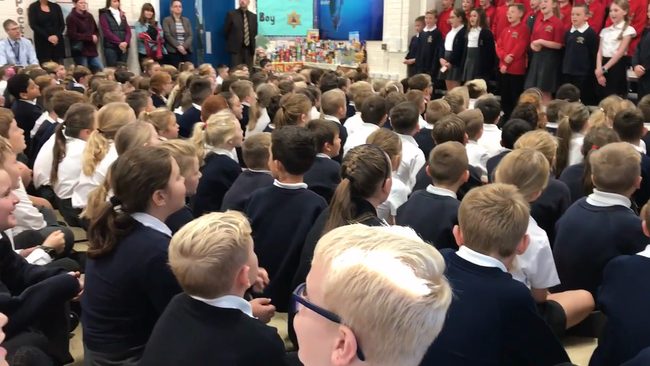 A big thank you must go to Mrs Hawkins and Mr Robson for all the work that has gone in to create this service and thank you for all the parents that came to support us. 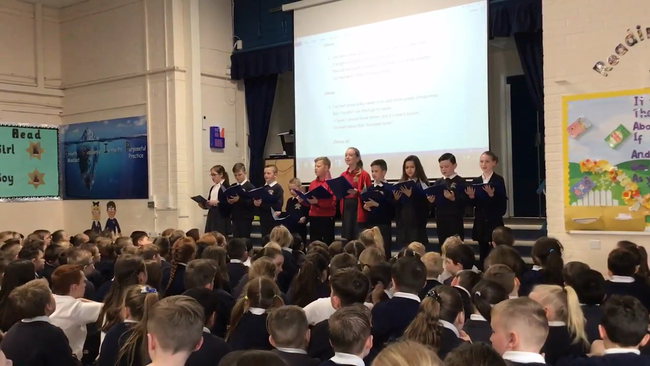 Our favourite Easter song- The chocolate song! Well done to Olivia, Louie and Luca who are runners up in Nic Dakin's Christmas card competition! On the first Sunday in December the choir sung at the Salvation Army’s Christmas concert. Councillors from Bottesford came into school to announce the winner of their Christmas Card competition! Well done to Bella who won and to Leah and Katie who came second and third! 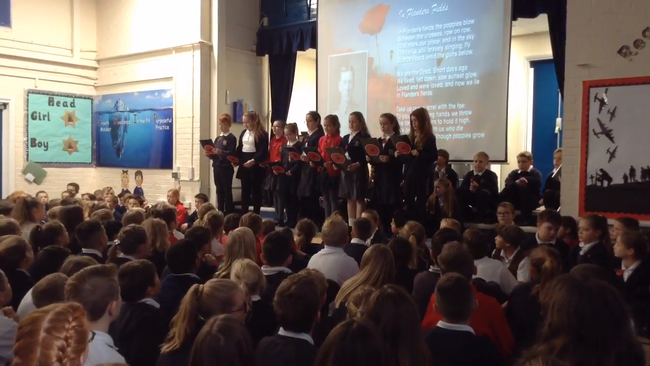 Well done to year 5 on a lovely and fitting remembrance service to mark 100 years since the end of WW1. On the 10th of October we held our Harvest Festival. 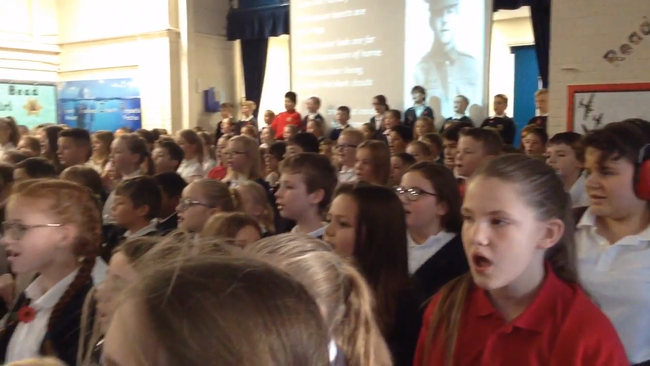 Speeches were performed by school council and pals and the whole school sang some songs. Thank you for all the parents that attended our service and thank you for all the donations of food. It is getting donated to the Scunthorpe food bank. A big thank you to Mrs Hawkins for oranisanising the event.